Facial steamers provide warm and comforting steam directly to your face, causing pores to sweat and open. Opening up skin pores serves the simple purpose of helping to remove dirt, oils and dead skin cells. 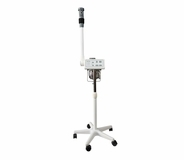 Facial steamers also make the skin more conducive to other cosmetic skin treatments. 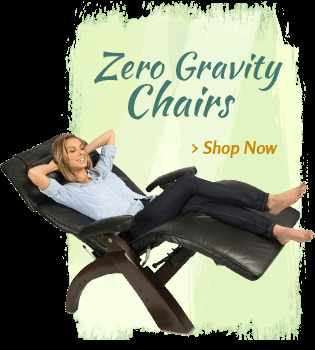 They also help with circulation and relaxation. 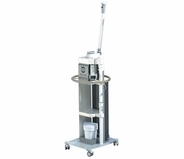 However, to get a truly deep cleanse on the skin, you need a professional facial steamer. The difference between a facial steamer purchased at a department store and one purchased from MassageTools is the quality of the facial steamers. Facial steamers have become increasingly popular at spas and salons as more clients have come to find out about the incredible benefits for the skin. 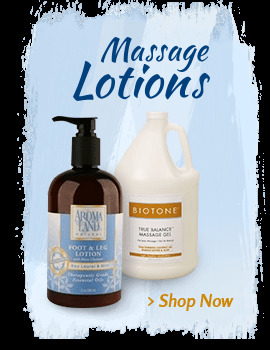 In addition to opening up clogged pores and softening facial oils, facial steamers can create a relaxing atmosphere for releasing stress and tension, which is often one of the main reason clients seek out a salon setting. 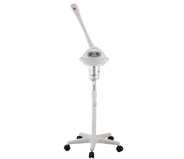 At MassageTools, we offer customers a variety of professional facial steamers for sale. 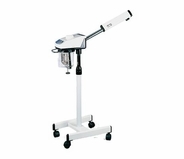 The models showcased are preferred by trained and experienced estheticians. 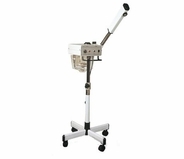 Many of MassageTools' facial steamers are portable, making the life of an esthetician that much easier. 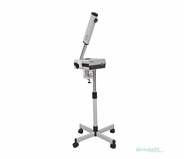 Our selection of facial steamers is perfect for upgrading the services offered at a salon, spa, dermatology clinic or esthetician's practice. Made by trusted brands like Spa Luxe and Equipro, our facial steamers with ozone offer an enhanced beauty treatment option for clients who care about their skin. 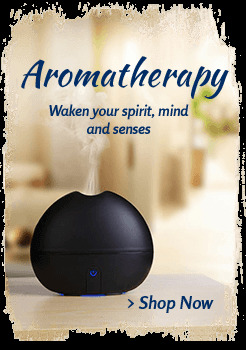 We also have a number of specialty facial steamers that can be used with herbal and natural products like essential oils. These facial steamers are quite popular with environmentally conscious clients. Now, if you can't get to the spa, but still want to reap the benefits of a facial steamer, recreating the same spa benefits at home, check out our selection of mini facial steamers. Mini facial steamers are smaller devices that are perfect for single uses in between your professional spa appointments. 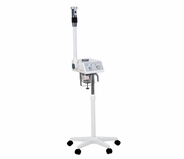 Whether you want a professional facial steamer or a smaller face steamer to use at home, MassageTools has the ideal facial steamer to suit your personal or professional needs. 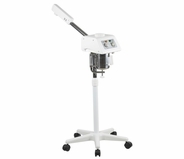 These mini steamers will achieve results that are similar to what can be achieved by a professional facial steamer. 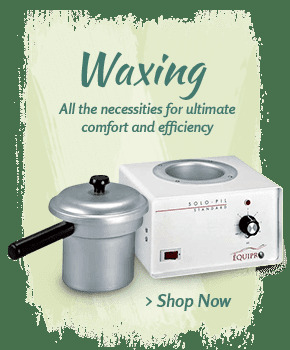 Our professional facial steamers and home spa portable facial steamers at MassageTools are affordably priced top brands like Equipro as well as our own exclusive SpaLuxe salon facial steamers. 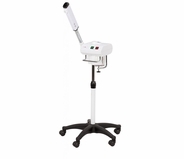 Either brand of facial steamer is an inexpensive addition to solo massage businesses and top salons. 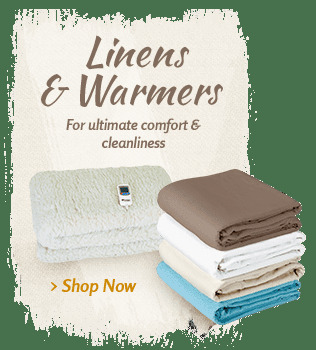 Many of our steamers are offered at sale prices and are far below what you would be expected to pay at an outlet or major retailer. 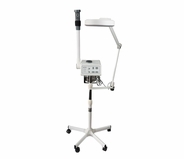 Our facial steamer equipment is the choice of top estheticians, salons and dermatology clinics. 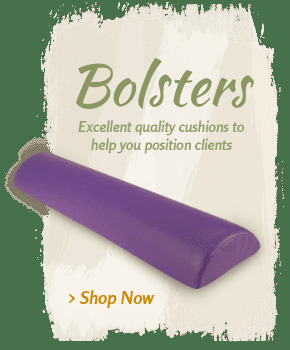 You can feel confident shopping MassageTools' extensive selection all while enjoying the extensive savings. 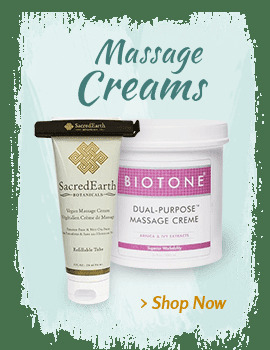 We are the industry leader in professional massage therapy tools and equipment, so we have also negotiated low prices on premium brands of stationary and portable facial steamers. 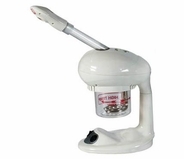 If you want the luxury of a spa treatment at home, our mini facial steamers are economically priced as well. 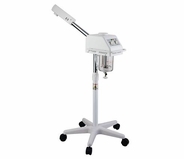 Our small and full-size professional steam facial machines create ozone when the steam passes through a UV light at the top of the steamer arm to sterilize the steam, killing molds, viruses and bacteria. 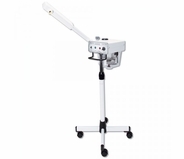 These kinds of capabilities and features are what a professional quality streamer can offer your salon or spa. Our herbal facial steamers have compartments for essential oils to integrate aromatherapy into your spa, salon or massage services. 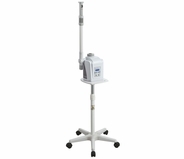 The majority of our facial steamers are portable too, to at least some degree. 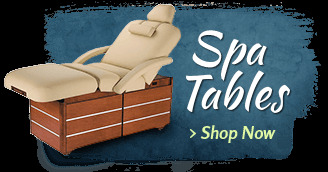 You can move them around your spa to treat your clients in the most convenient way possible. 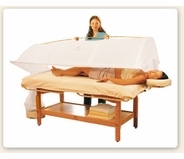 With a mobile feature, these steamers ensure your clients are comfortable and treated properly. Guarantee that your clients are impressed with your services by investing in one our affordably priced, professional facial streamers. 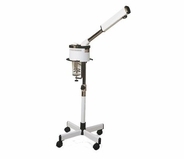 If you're not sure which facial steamer best suits your professional or personal needs, contact one of MassageTools' specialists. 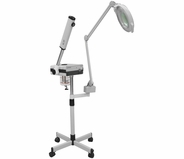 Our knowledgeable staff will guide toward the facial steams that meets your needs and fits your budget. 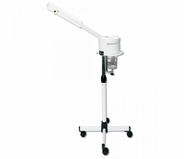 The care and use of our facial steamers is the same throughout the product line. 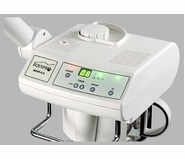 It's important to remember to always use distilled water when operating your facial steamer. Distilled water does not contain many of the minerals found in tap water. These harmful minerals can build up over time on the important components of your facial steamer, eventually causing it to malfunction. 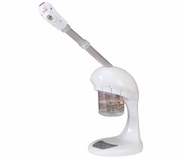 It's important to clean your facial steamer every month depending on frequency of use. We also carry all the essential replacement parts. 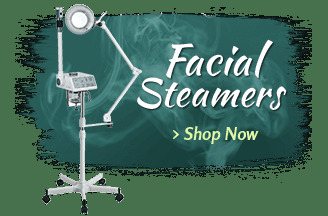 We carry all sizes of facial steamers, including full size professional steamers, table top facial steamers and portable mini facial steamers. Most of our facial steamers have ozone which is created when the steam passes through a UV light at the tip of the steamer arm. This is great for sterilizing the steam, killing pathogens such as viruses, bacteria, mold, and mildew. Consider an herbal steamer or steamer equipped with an essential oil compartment to integrate aromatherapy into your facial. Never put essential oils directly into the water. Never operate a facial steamer directly over the face. Tiny hot water droplets can sometimes fly out, potentially causing burns to the skin. 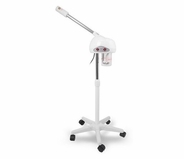 We recommend you keep the facial steamer nozzle at least 12-16 inches from the face. Although most steamers will have a safety auto shut-off feature, it's important to not use a facial steamer for more than 15 minutes at a time.